Manual or electric text perforators to perforate a fix text in paper, document, invoice, insurance, tender bids etc. Perforating machines are more than pure cancelling or validating machines. Instead of our punching machines, the needles of our perforators produce a readable fixed text like PAID. Perforators are used to mark and validate various forms, labels, films, packaging or business documents like tenders. 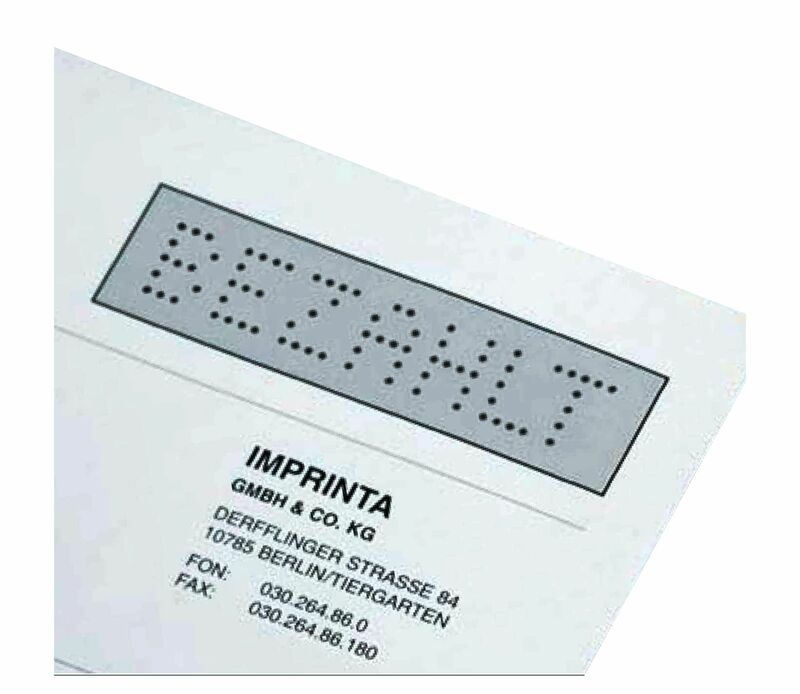 These machines are not so versatile like date perforating machines, as the fixed text cannot be changed. Therefore, this machine is rather used for marking forms, trade samples, labels, films, plastic cards, for securing original documents or for decorating letters and business forms. Our text perforators are used mainly in municipals, government offices, administration but also in larger companies, banks, insurance companies and various offices.